The German Airworthiness Authorities have issued RotorSchmiede, manufacturers of the VA115 Co-Axial Helicopter a “Permit to Fly” on their Prototype PT002 Registration D-MPVA to begin flight testing. 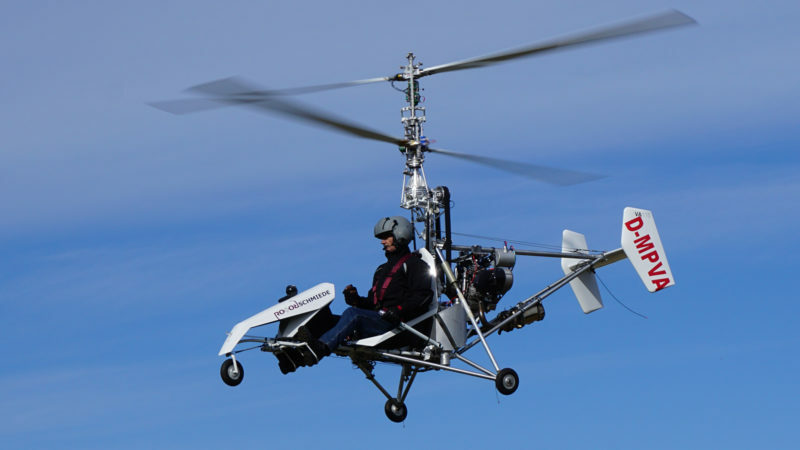 This is a major achievement in the Ultra-Light Helicopter Category. The new VA115 will be a very safe helicopter with the new generation coaxial rotor system eliminating the requirement for a conventional tail rotor. The autorotation characteristics of the co-axial rotor system coupled with innovative design features like the new freewheel unit, centrifugal clutch and blade locking system are all important measures towards safer flight operations. RotorSchmiede has been working diligently towards achieving high level safety targets with the new helicopter. The company strives to certify all of its products according to internationally accepted standards. An experimental certification of the Prototype PT002 was underway, based on the requirements of EASA’s CS-VLR and with the support of Luftfahrtbundesamt (LBA), Oskar-Ursinus-Vereinigung (OUV) and Deutsche Ultraleichtflugverband (DULV). The German Government implemented the new German Ultralight Helicopter Regulations (LTF-ULH) at the end of 2016. RotorSchmiede was then able to apply for an Ultralight Helicopter Type Certificate. DULV issued the “Permit to Fly” shortly thereafter, based on RotorSchmiede’s prior close cooperation with DULV. RotorSchmiede’s VA115 is the first program to receive an official approval based on the new German ultralight regulation. The VA115 is truly an ultra-lightweight single seat helicopter – extensive design, engineering and high quality production techniques make it possible to produce a very capable helicopter with an extremely lightweight design. The innovative Co-Axial rotor system of the VA115 helicopter provides superior handling, stable flight characteristics and compact dimensions. The VA115 will combine safety, fun and cost effectiveness in a new category of professionally built co-axial helicopters and will be targeted at the sports leisure market globally. RotorSchmiede currently has four (4) prototypes that have been built during the early development phase and proof of concept stages. The first prototypes were used for extensive trials with Component / Subsystem and Ground Testing which has led to the issue of the “Permit to Fly” by the DULV. Now Prototype PT002 Registration D-MPVA will enter flight testing. Market entry is planned following certification in the Ultra-Light Helicopter Category.